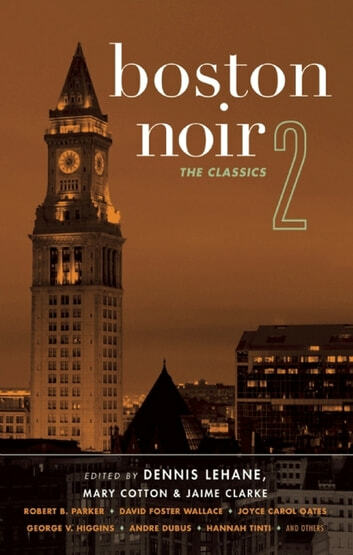 Boston Noir 2: The Classics is now a Boston Globe best seller! "The contributor list is delightfully quirky...The collection's unifying element is a deep understanding of Boston's Byzantine worlds of race and class--as seen terrifyingly in Andre Dubus's tale of milltown resentment and pampered preppies." "14 superior selections in this 'classics' volume in Akashic's series of regional dark crime short stories, the works of established writers that have stood the test of time." "This collection features crime stories that have already been published. But that's OK when you have the likes of Chuck Hogan, Joyce Carol Oates, Robert B. Parker, Linda Barnes, George V. Higgins, Dennis Lehane, and David Foster Wallace all under the same roof...Followers of Akashic's long-running Noir series--not to mention, of course, fans of Boston-set crime fiction--should eagerly devour this one." "These stories take place in neighborhoods you know well, and that can drive a reader crazy as well as entice him or her, but the read is worth it." "There are few gifts I enjoy more than a box of chocolates. The very best surprise me, each candy layered with unexpected delights that leave me hungry for more. The same may be said of Boston Noir 2. It's a collection of dark short stories by names you know, set in places familiar to Bostonians. 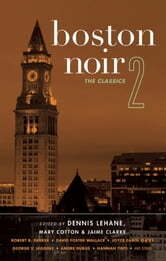 Edited by Dorchester's crime fiction king and Hollywood darling, Dennis Lehane...Boston Noir 2 overflows with stories from some of the best writers of our time...This is the perfect book to open after a long day...The danger, of course, is that at the end of each story, you'll go for just one more and stay up well past your bedtime. My advice? Indulge." Classic reprints from: Classic short fiction reprints from: George Harrar, George V. Higgins, Dennis Lehane, Joyce Carol Oates, Robert B. Parker, Hannah Tinti, Abraham Verghese, David Foster Wallace, and others. Dennis Lehane is the author of the Patrick Kenzie and Angela Gennaro mystery series (A Drink Before the War; Darkness, Take My Hand; Sacred; Gone, Baby, Gone; Prayers for Rain; and Moonlight Mile), as well as Coronado (five stories and a play) and the award-winning novels Mystic River, Shutter Island, and The Given Day. Mystic River, Shutter Island, and Gone, Baby, Gone have been made into award-winning films. In 2009 he edited the best-selling anthology Boston Noir for Akashic Books. Mary Cotton is the pseudonymous author of nine novels for young adults, six of them New York Times bestsellers. She is also a fiction editor for the literary magazine Post Road, and is co-editor of No Near Exit: Writers Select Their Favorite Work from Post Road. She is co-owner of Newtonville Books in Boston, Massachusetts. Jaime Clarke is the author of the novel We're So Famous, editor of Don't You Forget About Me: Contemporary Writers on the Films of John Hughes, and Conversations with Jonathan Lethem, and co-editor of No Near Exit: Writers Select Their Favorite Work from Post Road. He is a founding editor of Post Road and has taught creative writing at University of Massachusetts, Boston, and Emerson College. He is co-owner of Newtonville Books in Boston, Massachusetts.